While scouring the local 2nd hand shops her in NY for my shop, I came across these culottes. How could I pass them up? They are uber cool and totally on trend. I love this style. 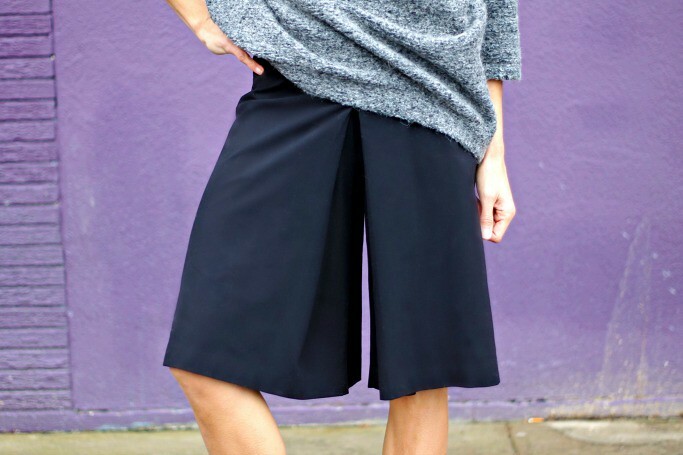 Have you tried out the culotte trend? I personally love them with oversized knits! More items coming to the shop later on! This entry was posted on Friday, December 5, 2014 and is filed under black,grey. You can follow any responses to this entry through the RSS 2.0. You can leave a response. These are visually fascinating. My mind sees them as a skirt but then your legs part and the pant-like separation becomes visible, shocking my mind into reassessing the nature of the garment. How many items of clothing can do that?! Cool look, love the culottes!